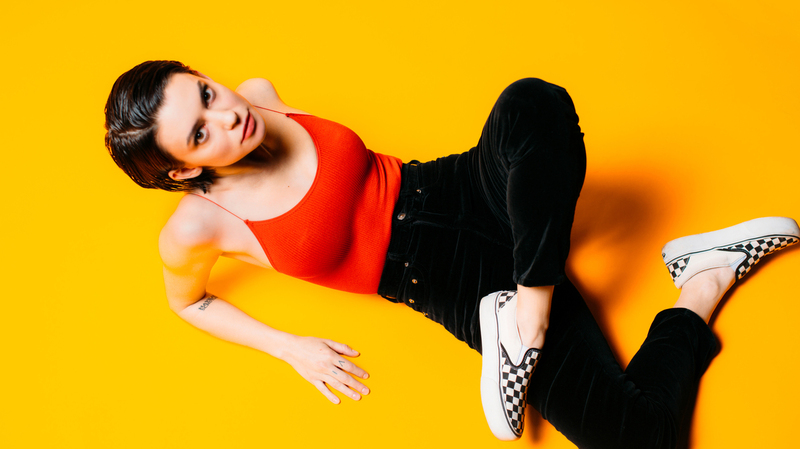 Meg Myers On World Cafe : World Cafe Myers' music is a bit like Nine Inch Nails got into a fight with the Pixies, with some incredibly dynamic vocals thrown in the mix. Meg Myers makes explosive, aggressive rock coupled with synthesizers, strings and plenty of distortion. Her music is a bit like Nine Inch Nails got into a fight with Pixies — the latter of whom she's toured with — and threw some incredibly dynamic vocals into the mix. On her latest album, Take Me to the Disco, Myers worked with Christian "Leggy" Langdon, who both produced and performed on it. Disco almost didn't see the light of day due to record label issues, but thankfully, she found a new musical home just in time and we couldn't be more thrilled. Hear the complete session in the audio player.